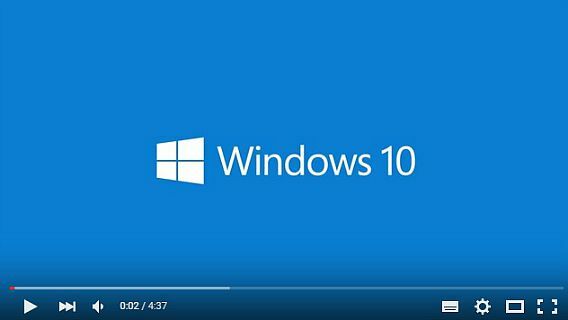 The video clips are different with previous Microsoft daily quick videos that direct go over some of Windows 10 features. This time, the video clips are cover up to five minutes long and show Windows users from the Windows 10 team demoing and describing what the Windows 10 function and operate. The features such as new start menu, the revamped traditional Start Menu, and the improved multi-tasking are highlighted in first video “The Windows 10 Experience”, while second clip “Windows 10 Apps”, present the function and features of the built-in Modern apps like Photos, Maps, Mail and Calendar. As expected, the third video are focuses on the features in the new Microsoft Edge web browser, and last video shows how Cortana is integrated into Windows 10. All the 4 videos are worth for view to help improve manipulate features on Windows 10. The qualified Windows 7 and Windows 8.1 device should start received the Windows 10 upgrade for free start on 29 July. If not yet receive upgrade, just head over to the upgrade page for Windows 10. Once there, Windows users will be able to reserve a free Windows 10 digital copy. After done, Windows 10 will automatically download to PC as soon as the update is ready.